Canvasflow offers a flexible and responsive workspace allowing you to build and test your article in the environment for which you are creating content for. From the menu, click 'Workspace'. The supported workspace options will be displayed. Click the workspace you would like to switch to. The canvas will change to reflect the selected environment. To close the workspace options, click anywhere outside the workspace menu. By default the workspace is set to 'Desktop'. 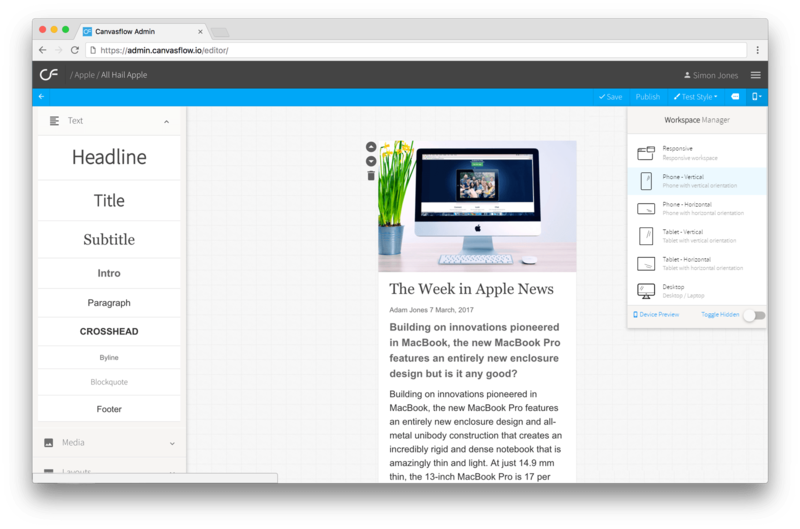 Canvasflow automatically remembers the last selected workspace set for your publication.